A bright (bright) bright sunshiny day. Thursday 19th July. The tent was alive this morning! 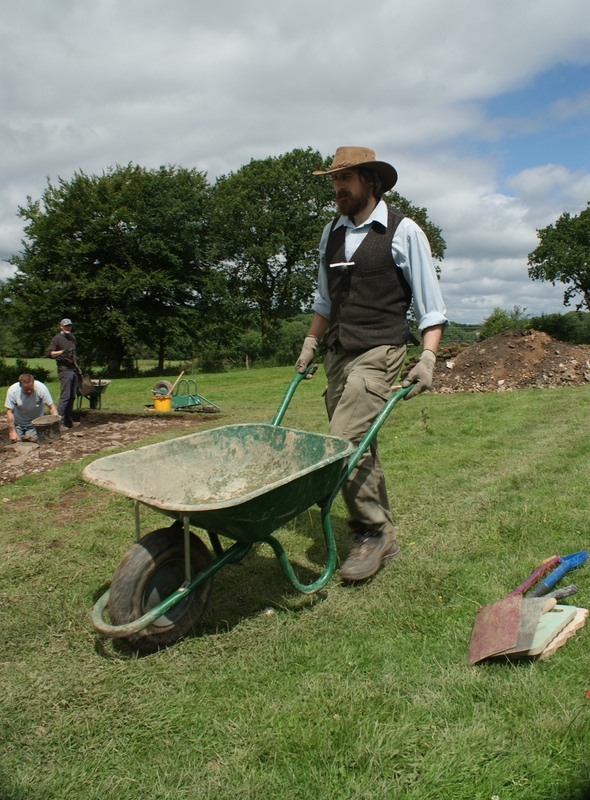 As we walked across the field we breathed a sigh of relief when we saw it there and the small patches of blue sky made us feel more positive about digging (no rain makes for happy archaeologists). Today we started digging a sondage (a section through a feature) through the robber trench – we wanted to see whether there was anything at the bottom of the trench. 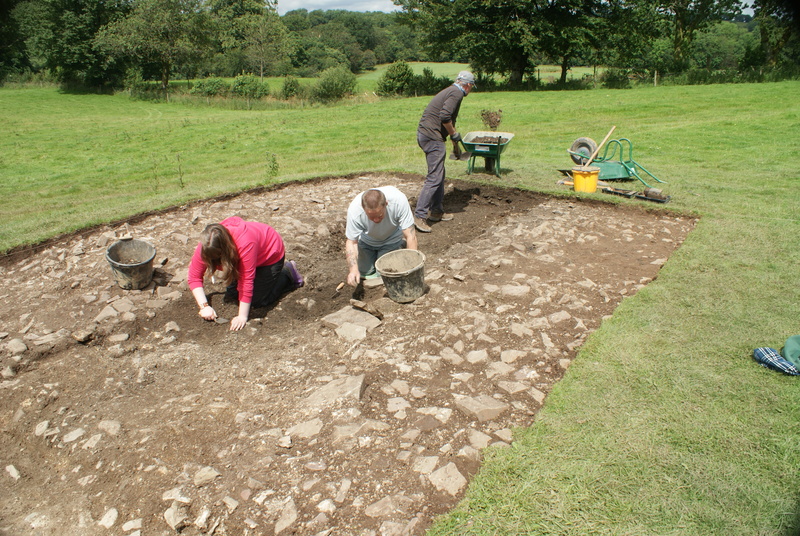 We were hoping to find foundation stones or something which would relate to the original house. 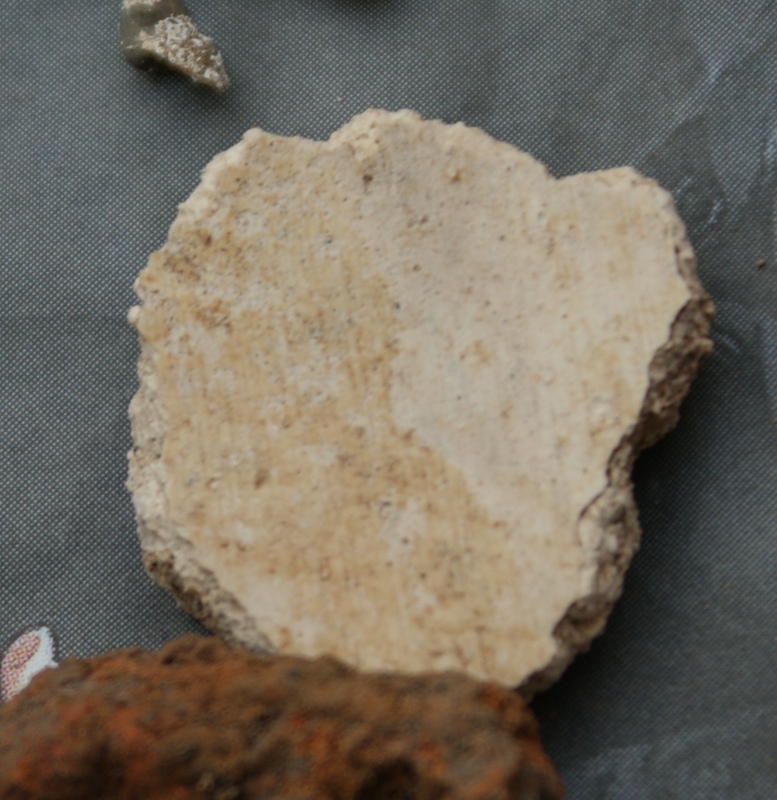 Unfortunately there were no foundation stones as they had all been removed for use elsewhere on the estate, however we did find many pieces of wall plaster which would have faced the walls, probably in the portico. Also in this sondage we found some a few lumps of purple stone (similar to that visible at the stable block in the estate) which is thought to have been used to accentuate the exterior features of the house. Evidently any stones which were suitable to be re-used had been removed so that only small useless pieces remain. At the bottom of the sondage we encountered subsoil, the soil deposited by geological processes which underlies everything before bedrock, which has no archaeology in it. After the sondage was completed it is necessary to record the context (each different layer of soil and each feature is a ‘context’ and each has its own identifying number called a context number) on a form called a context sheet. 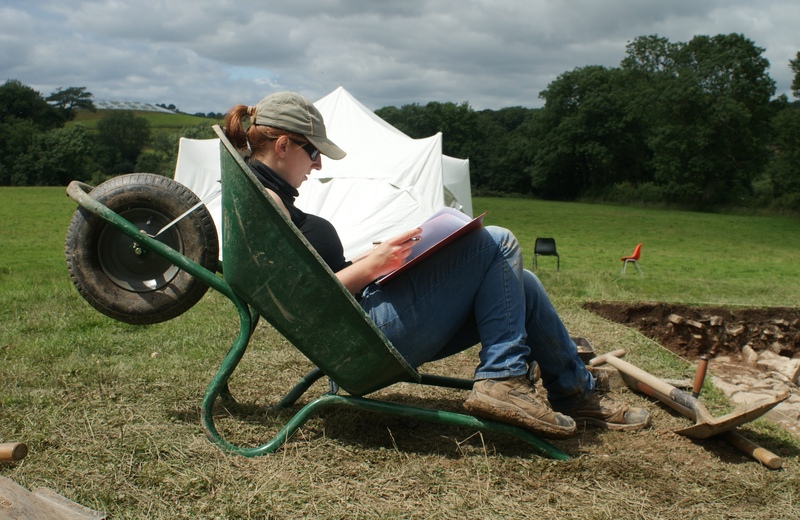 This is required so that the archaeology is recorded by description as well as photograph. The rest of the team was working on removing the top layers of the robber trench in the east end of the trench prior to removing the majority of the soil in it. So, we left site with slight suntans (or were they mudtans) feeling positive about our progress. Hopefully Friday’s weather will be fine too! Keep tuned for more updates! Brilliant blog – keep up the good work!